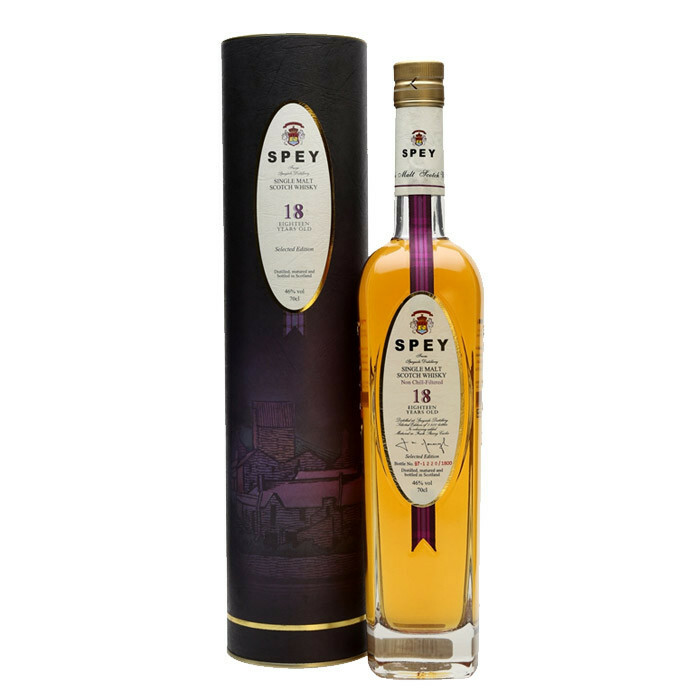 The elegantly presented 18 year old SPEY single malt Scotch whisky comes from the Speyside Distillery. It's matured in Sherry casks, giving it a good dose of those sweet, spiced notes which are so classic in Speyside whiskies. Amber golden colour whisky. Elegant concentrated aroma of sherry, sweet, warm honey with a release of light nutty flavour, beautiful and smooth. Orange fragrance, flowery with a hint of smoke, ending with the lingering sherry of the barrel.